How many earthquakes occur each year around the world? Isn't there just something so comfortable about the solid ground under your feet? After all, part of the thrill of sports like ice skating and roller skating is the slightly out-of-control feeling you get when you're sliding (or rolling) along. But what if the ground under your feet wasn't so solid? What if it moved and shook and tossed you about like a rag doll? That's what some people experience from time to time when the earth under their feet shifts suddenly and unexpectedly. What are we talking about? Earthquakes, of course! Although the ground seems extremely solid, it's actually made up of gigantic pieces of rock that slowly, but constantly move. These pieces of Earth's crust — what scientists call tectonic plates — collide with and rub against one another. Every once in a while, the edges of tectonic plates will break or slip suddenly, releasing enormous bursts of energy in the form of earthquakes. In fact, earthquakes happen constantly, every day, all around the world. Many earthquakes are just too small to be felt by our senses. However, the U.S. Geological Survey estimates that as many as 1.3 million earthquakes that can be felt by humans may occur each and every year! Occasionally, large earthquakes will occur, releasing energy in the form of seismic waves more powerful than thousands of atomic bombs. When this happens, the results can be devastating. For example, a powerful earthquake off the coast of Japan in 2011 damaged thousands of buildings and caused the deaths of over 20,000 people. Earthquakes have been around since the beginning of time. Scientists have really only begun to understand and measure them in the last 100 years or so, though. Today, scientists around the world use sophisticated seismic monitoring equipment to detect and measure earthquakes. One day, they may be able to use that information to predict when major earthquakes are likely to occur. Scientists who study earthquakes — called seismologists — concentrate on areas of Earth's crust where tectonic plates are moving in different directions. They call these areas fault lines. By studying fault lines, they hope to understand earthquakes better and learn to predict when they might occur. Seismologists have learned that most earthquakes occur along established fault lines. Groups of fault lines combine to form fault zones. Some of the most extensive and active fault zones are given names, such as the San Andreas Fault in California and the New Madrid Fault that extends over 120 miles through several Midwestern states, including Illinois, Missouri and Arkansas. Tomorrow’s Wonder of the Day takes a closer look at a real web surfer! What kinds of earthquakes have occurred in your state in the past? Are there areas of seismic activity you should know about? Find out more about the seismic history of your state by visiting the U.S. Geological Survey's U.S. Earthquake Information by State/Territory website. Click on your state and follow the links to learn more about your area and the earthquakes it has experienced in the past! Would you be prepared if an earthquake hit your city or state? What kinds of things might you need in case of an earthquake? Being prepared for a major disaster is a concern for the whole family. Check out these earthquake preparedness tips online and discuss them with your parents. Can you put some of the recommendations into practice? Do you have the items on hand that you might need in an emergency? It never hurts to put together an emergency kit with a few basic supplies, such as food, water, and a first aid kit. Are earthquakes happening right now? You bet they are! Earthquakes occur continually around the globe all the time. To see what's happening lately, visit the U.S. Geological Survey's Realtime Earthquakes Map! Where is earthquake activity taking place right now? Can you use the map to figure out where the closest earthquake to where you live has occurred in the past week? Where was it? How far away is that? For a challenge, print out a blank world map and mark the locations of recent earthquakes using the data available at the USGS website. was there ever a 10 on the richter scale when a really big earthquake happened? if so how much destruction did it cause? Great question, Adrian! The largest earthquake was the Valdivia Earthquake, which was 9.5 on the Richter scale. Here is a list of the 20 Largest Earthquakes in the World. 😂 Wow so many questions! In short, YES we love our job and we LOVE to Wonder and share that Wonder with others. We work hard to make sure our Wonders of the Day are accurate and enjoyable to explore. Thanks for being one of our Wonder Friends! Thanks for asking, Wonder Friend! This really helped me understand how an earthquake starts. Hey I’m doing a report on earthquakes and This is Very very helpful. Thank you. We're glad this Wonder was helpful, Julia!! Let us know how the report goes! This is a really great website for kids to learn a lot. This is a good website because it teaches a lot of interesting things. I think Madison asked HOW they move. So do seismic wave cause the aftershocks of an earthquake? If they do, does the power of the power of the seismic wave affect how far and powerful the aftershock will be? This is a good website with good earthquake information. Good job, Dudes! What tools do seismologists use to measure earthquakes? 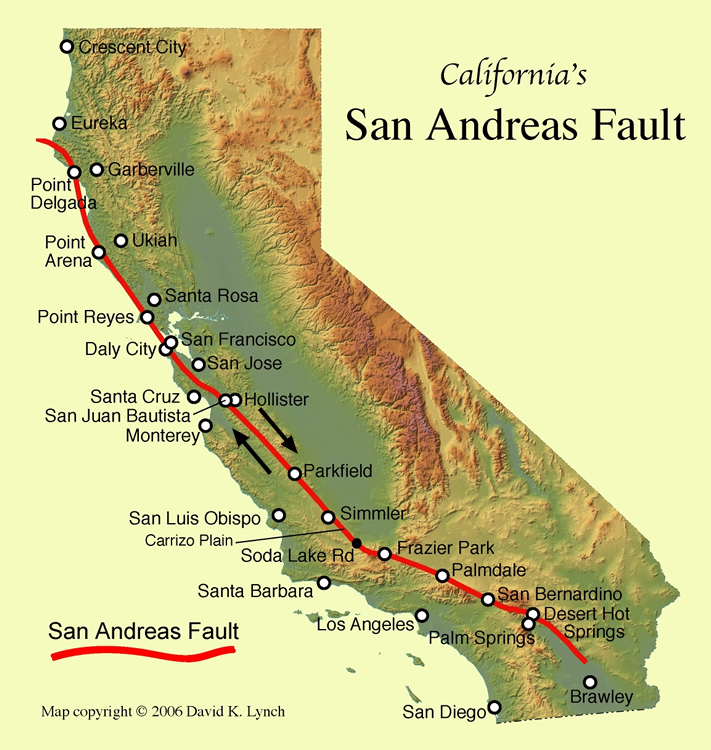 I live Along the San Andres Fault but I never seem to feel big earthquakes. What place in the world gets the most earthquakes? How come some places have more earthquakes than others? We don't have many earthquakes here in NH and when we do they aren't very strong. How come? We are wondering what was the biggest earthquake ever? and where and when? We think the wonder for tomorrow might be about spiders. We live in Alaska and we are part of the Ring of Fire. This is an area of very active earthquakes. Last week we had an earthquake drill at our school. So why or there really earth quakes??? We'll the next wonder is about a web surfer I surf the web all the time!!! I don't understand the video. so if an earthquake happens can the other side of the world can feel it. That's okay. Just read it again, and you will get it. do earthquakes damage anythIng or do they just shake? They can damage things too. they do damage a lot of things. is that a important part of history? If you needed to know more about earthquakes, what type of scientist might you call? Most earthquakes occur along established areas known as what?